Secure the Republic (which is affiliated, somehow, with Secure Arkansas) seems like a well-meaning organization. It really does. 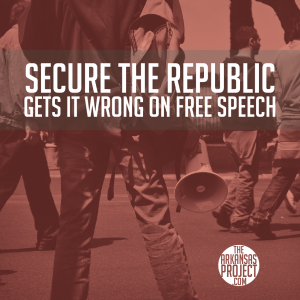 Secure the Republic (SR) says it wants to protect the rights of all Americans, and I believe them. SR would have an easier job doing this, however, if it knew how to interpret legislation just a little bit better. Recently, SR sent out an e-mail attacking legislation that would expand free speech rights on college campuses. Higher education institutions throughout the nation routinely place restrictions on the type of speech that may occur on their premises. That’s why legislators in Missouri (and elsewhere) are pushing for legislation called the Campus Free Expression Act. The Campus Free Expression Act would ensure that government-funded education institutions couldn’t enact restrictions based on the content of speech. What prompts SR’s ire is that the bill would allow schools to enact “time, place, and manner” restrictions, but only when such restrictions are clearly defined and don’t discriminate based on content or viewpoint. Regrettably, Secure the Republic somehow thinks that time, place, and manner restrictions, as such, are some kind of a compromise with free speech principles. What the organization does not seem to realize is that “time, manner, and place” restrictions, within reason, are both perfectly constitutional and good policy. Should students be allowed to hold a demonstration with bullhorns outside a campus residence hall at 4 a.m.? Should students be allowed to stand up during a biology professor’s lecture and give a passionate speech about any political topic that comes to mind? Should students be free to enter the bedroom of the university president (who, after all, lives in a house that’s school property) and hold a teach-in about the Iraq War? If you answer “no” to any of these questions, then you support “time, place, and manner” restrictions. A time, place, and manner restriction heads off conduct like this by recognizing that it’s inappropriate to exercise speech at some times, in certain ways, and in some places. (Such as — to repeat — at 4 a.m., with megaphones, right next to student dorms.) Such restrictions allow schools to craft a policy that allows students to speak freely, but not in a time, place, or manner that would disrupt others. It’s a pretty simple concept. Universities can already enact restrictions based on it. They routinely do. According to the Foundation for Individual Rights in Education, they also routinely abuse this power to enact policies that are too strict. That’s why some free speech advocates are pushing for legislation that would restrain the ability of schools to trample on free speech. That’s where the Campus Free Expression Act comes in. Unfortunately, the folks at Secure the Republic don’t seem to understand this. They somehow think that this bill would create “time, manner, and place” restrictions instead of reining them in. They also claim that the bill would allow schools to restrict speech to certain zones, when the legislation explicitly says the opposite. SR misunderstands the nature of the Campus Free Expression Act: the Act limits or diminishes the ability of college administrators to regulate speech, but SR seems to think that the proposed Act actually gives legislators additional powers. That is because, apparently, SR doesn’t understand that college administrators start off with some inherent authority to regulate what happens on campus (that’s why they’re called administrators); the proposed Act, in a manner similar to a state or federal constitution, limits and regulates college administrators’ powers. If Secure the Republic were to succeed in stopping legislation like the Campus Free Expression Act, it would only keep in place the infringements on free speech that we see happening routinely across the country’s campuses. The idea that we should do away with all “time, place, and manner” restrictions is absurd. What we should do is make sure that these restrictions aren’t a pretext to stifle free speech. Incidentally, this isn’t the first time that Secure Arkansas brought us this type of confusion over legislative language. AAI President Dan Greenberg has pointed out another time when Secure Arkansas got very confused about a conservative proposal that would have made the costs of Obamacare in Arkansas completely transparent. 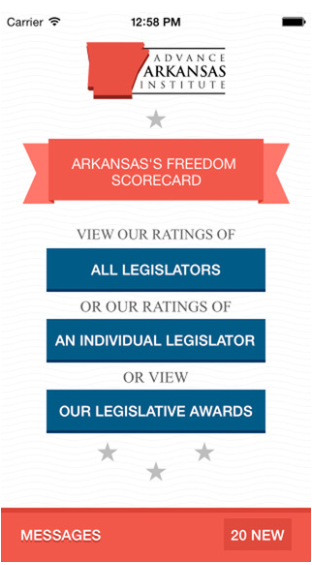 Secure Arkansas opposed it — because they didn’t competently read or understand the proposal. You’d hope that the organization would have learned from that mistake. 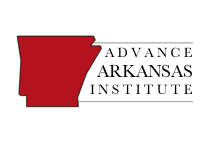 ← AAI’s Action Plan for Arkansas Is Here! Struggling to understand why you bend over backwards to discern any coherency in the statements of a group that considers bicycle paths to be a communist plot.